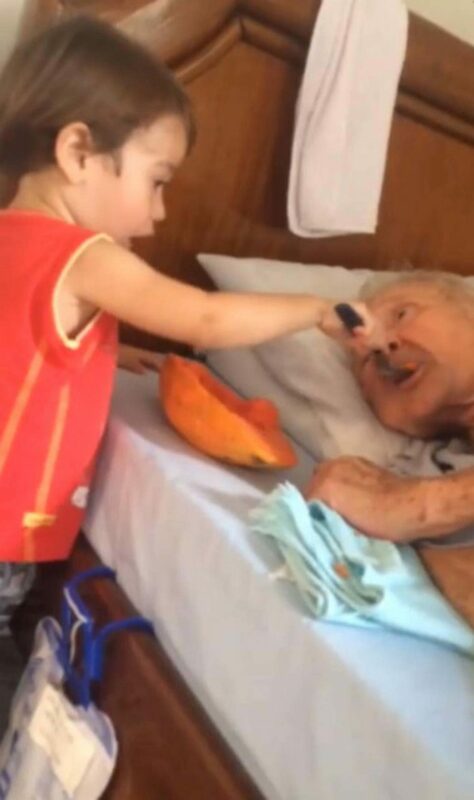 A video reveals the moment the grandson feeds the elderly with the greatest affection in the world, and it has become viral on social networks. You have to learn how to grow old, but when you have a child so lovely and so grateful to you, it’s all worth it. 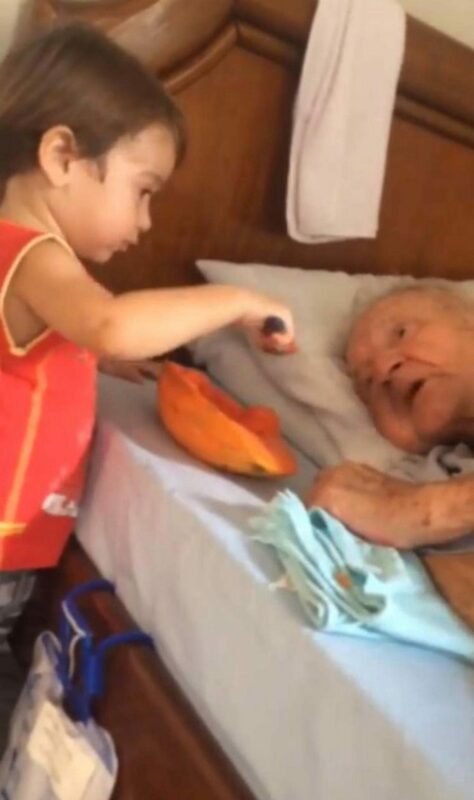 The video was published by Michelle Botta, a Brazilian woman, who shared the emotional moment when her son fed his grandpa. The video already has 12 million views and everyone agrees that it is a magic moment. “The most beautiful video you’ll see today!,” wrote the mother next to the video. 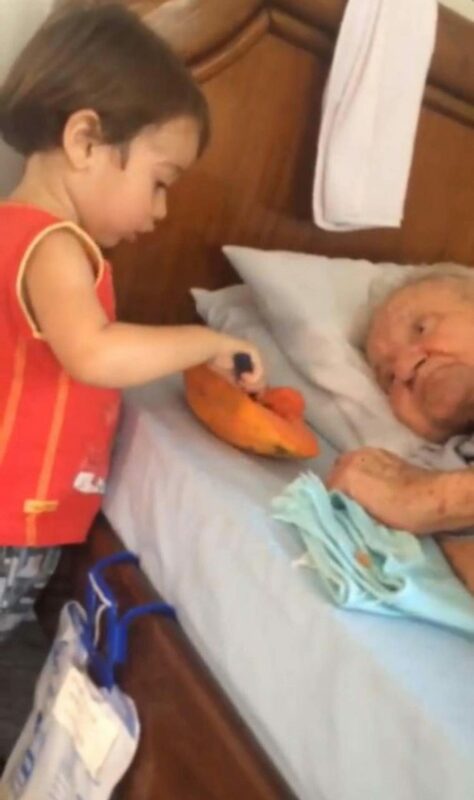 You can see how the little one delicately gives papaya to his grandfather with a small spoon. 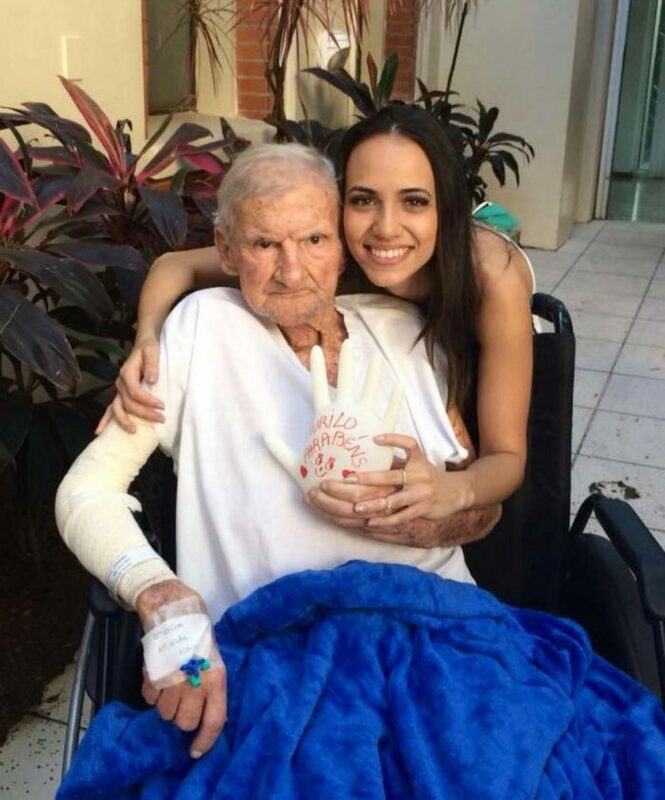 Surely the old man did the same for him, and for his children. So, it’s time he received all the love and care he gave. 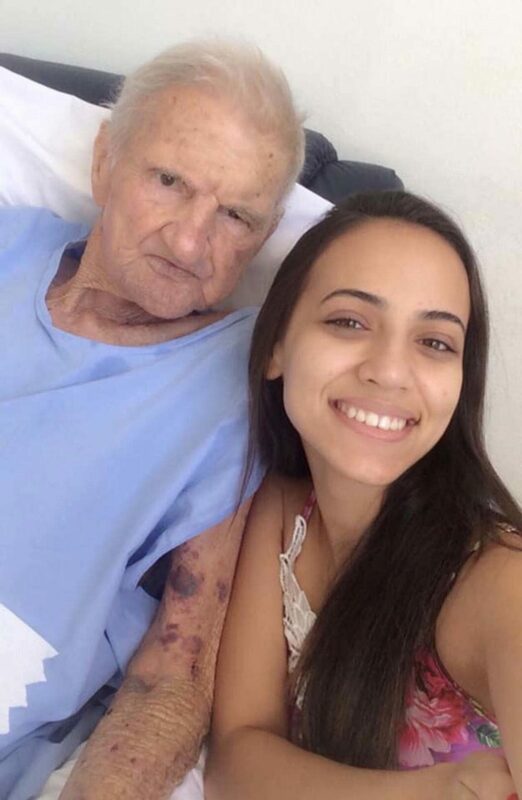 And this is how it should be, all the elderly deserve to receive care and attention. 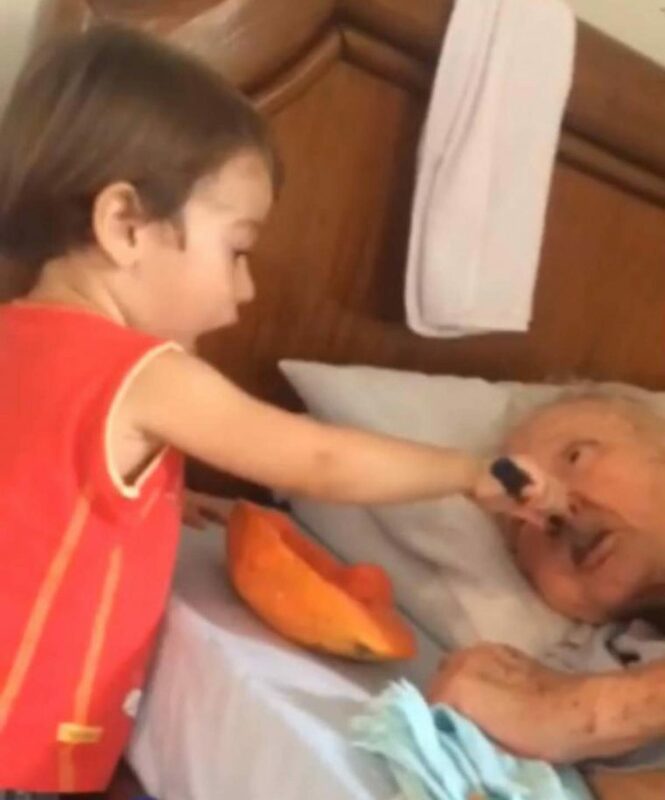 At another point in the video, you can see how the little boy also opens his mouth completely, as an unconscious way of telling Grandpa to open his mouth as well. Those innocent gestures typical of children, who can resist them? Millions on social networks wept as they remembered their own parents and grandparents, telling them how much they would pay to have them and be able to repay how much they did for them in life. “It’s the most delicate and incredible thing I’ve ever seen. God bless you both, ah and also the baby’s mother for teaching them these values,” acknowledged one user. See the beautiful moment below. We need to be aware of how the elderly feel as they grow older, so be grateful and return some love and affection! Share this emotional video with your friends, to move them as well.